In "Preventive Inhalation of Hypertonic Saline in Infants with Cystic Fibrosis (PRESIS): A Randomized, Double-blind, Controlled Study," Mirjam Stahl, MD, and co-authors describe a study of 40 young infants (average age three months at enrollment) with CF. The babies were randomly assigned to receive either hypertonic saline (saline with a 6 percent salt concentration) or isotonic (.9 percent) saline. They were followed for 12 months. "We demonstrated that early studies are feasible in this challenging age group using innovative, sensitive outcome parameters such as lung clearance index," Dr. Stahl said. 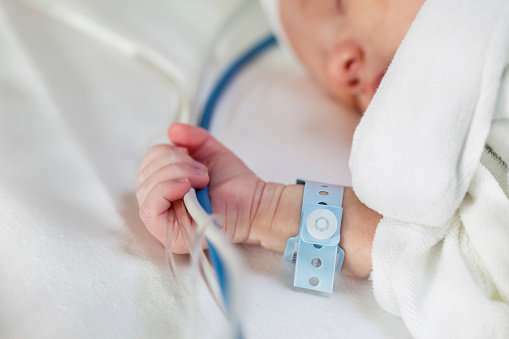 "Treatment with hypertonic saline in infants with CF is safe from diagnosis onwards, and our results suggest this preventive therapy benefits lung function and improves thriving."